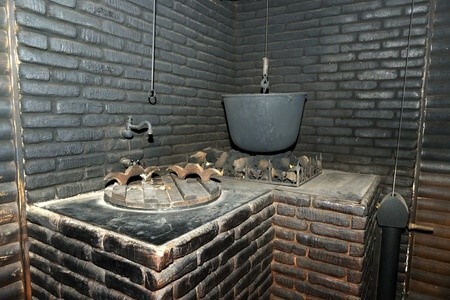 Electric sauna heaters are the most popular heaters used for saunas today. Customers have the option of choosing between either a free-standing floor heater or a wall mounted heater. 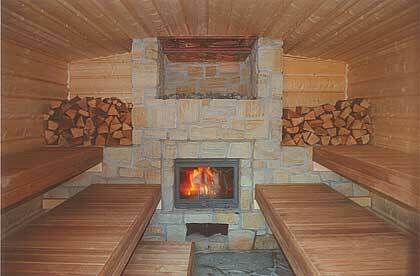 Being that they’re the most popularly used sauna heaters, they also have the widest variety of options to choose from. Customers looking for a new electric sauna heater will generally be looking at a price tag of at least $600. The popularity of the heaters also makes used versions commonly available as well. The one issue with electric heaters is that they will obviously increase the cost of your electric utility. While modern technology has made electric heaters much more efficient than they once were, it should still be known that your electric bill will be mildly affected based on the overall use of the sauna. The variety of options and cheap initial costs are what have made the electric heater the most popular option. The wood fired sauna heater is the oldest type of sauna heater there is and provides the most authentic sauna experience of any of the heaters available. These are also one of the cheapest options available, While the initial cost of wood fired heaters is a bit more than most, the money saved long term on utilities easily make them one of the most cost efficient options. One of the issues with wood fired sauna heaters is that it is much more difficult to control the exact temperature as it can be tough to get used to the just how much wood you should be burning in order to achieve the optimal comfort level. Another issue is that users will obviously have to be sure that they have wood available to burn for the heater. As far as long term costs and enjoying an authentic sauna experience, you won’t find a heater better than the wood fired option. Gas or propane stoves are most commonly used by customers that already have gas heating for their home. The major perk of these type of heaters is that they’re able to heat up much faster than other types of heaters. They’re more efficient long term options than the electric heater would be while also being much easier to regulate. The initial costs are much more expensive for gas heaters than both electric and wood fired heaters. They are, however, considered to be an effective and cost efficient long term option. Customers that already have gas heating for their home will find that this is the easiest heater to install while also providing lower costs down the road. Infrared sauna heaters are the most modern of any of the heater options and offers the most advanced technology. Infrared heaters generally either involve the use of carbon or ceramic heaters. They’re most often used in athletic settings as they’re great for relaxing the muscles of athletes. Many sauna enthusiasts actually don’t even consider the infrared sauna to be a ‘sauna’ as it works much differently than the other types. 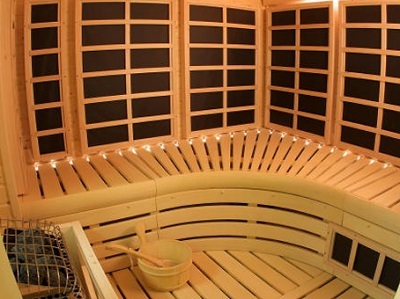 Instead of just being a single heater, this type of heater actually heats different parts of the sauna room in order to produce the relaxing sauna-like atmosphere. One of the major perks of the infrared heater is that it is much less expensive to operate than even the gas sauna heaters. As we’ve mentioned, the one major downfall is that the infrared heater offers the least authentic experience of any of the heater options. 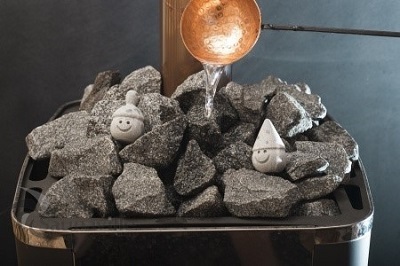 This is mostly due to the fact that loyly is not possible with these heaters (loyly is the steam emitted from rocks when water is placed on them). While it still offers a great experience, many sauna loyalists will tell you that this option is not a sauna at all and should instead be called a ‘therapeutic heat room’. Hopefully this brief overview of the advantages and disadvantages associated with the four most popular sauna heaters will help you make a better decision on which option is right for you.